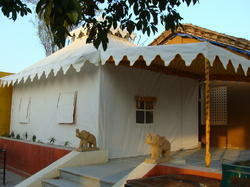 Prominent & Leading Manufacturer from Jaipur, we offer luxury swiss cottage tent and swiss cottage tent. The Luxury Swiss Cottage Tent is marvelous collection is tremendously popular due to its glossy finish, durability, exquisite design and waterproof. 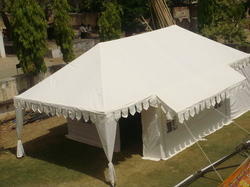 We manufacture these tents using finest quality fabric materials in accordance with the quality standards. 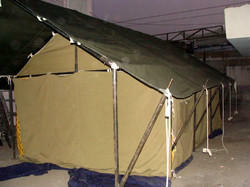 These tents are available in various sizes, shapes and design as per the client's requirements. Clients can avail from us these products at the most nominal prices.